The magenta hue of sunrise light up Mt. Moran at Oxbow Bend. 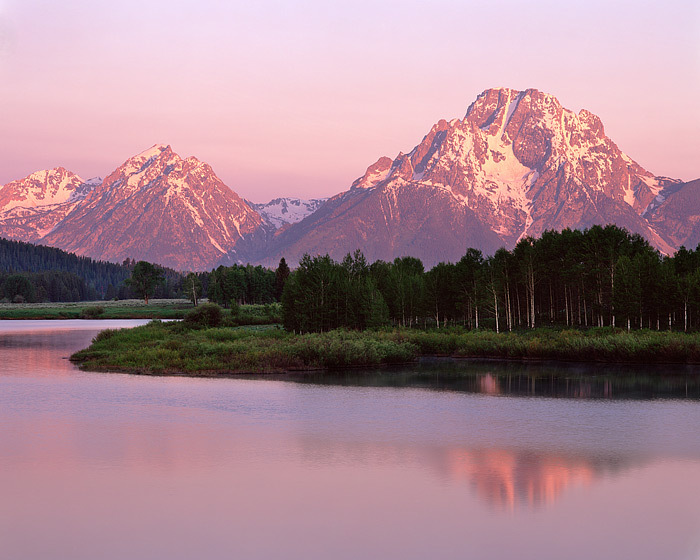 Oxbow Bend on the Wyoming's Snake River is one of Grand Teton National Park's most recognizable landmarks. Photo © copyright by Thomas Mangan.